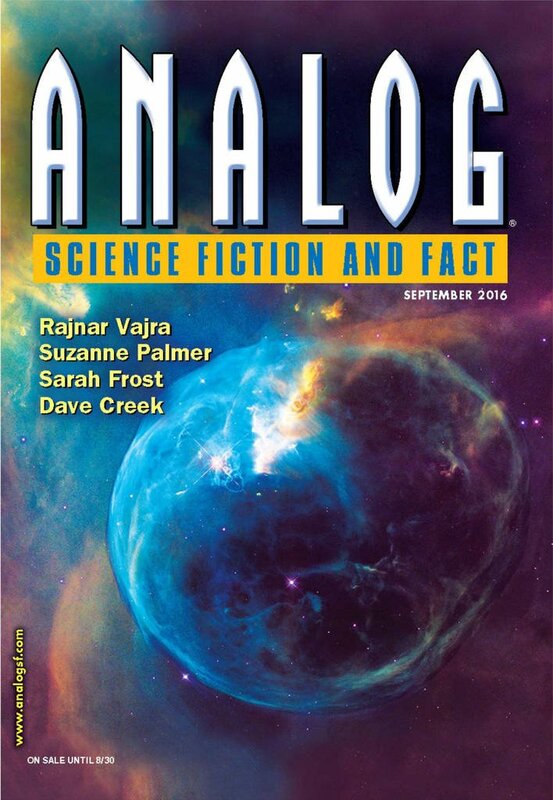 "Silhouettes," by Dave Creek, appeared in the September 2016 issue of Analog Science Fiction and Fact, published July 14, 2016, by Penny Publications. Pro: He does get his data and he does manage to report it, despite dying in the process. Con: The data about the mantas is pretty dull, and the information about Leo is sketchy and not very interesting either. His problems appear to be self-inflicted, and we don't ever understand him well enough to care.